Last year thousands of Washington citizens gained the right to vote: Now it’s time to use it! Although the right to vote is nowhere guaranteed in the U.S. Constitution, voting is a central cornerstone of our democracy, and the ACLU works vigorously here in Washington and around the nation to protect this fundamental right. In 2009, as the result of a reform in our state’s voting rights restoration process advocated by the ACLU for several years, tens of thousands of previously disenfranchised Washington citizens are now eligible to vote. The ACLU supports similar reform at the national level and is advocating for the passage the Democracy Restoration Act, a federal law to restore voting rights for citizens across the nation. While summer days have (finally) arrived, and many of us are thinking most about play and vacations, Washington’s primary election is just around the corner, on August 17. And the registration deadline for the primary election online or in-person is only days away, on July 19. 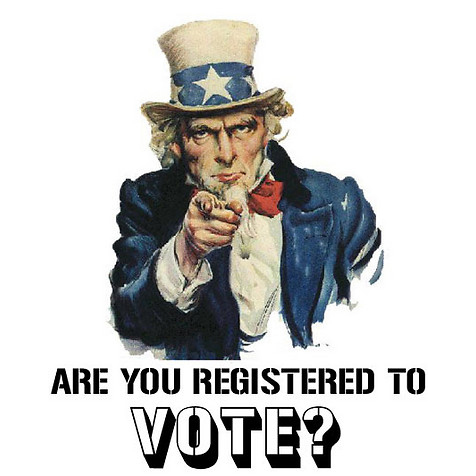 Not sure if you’re registered to vote (or at what address)? You can quickly find out online through the Washington Secretary of State and then register or change the address of your registration if necessary. Although some voters vote only in general elections, many important decisions are made in primaries, particularly some judicial elections, in which a candidate getting more than 50% of the vote is placed on the general election ballot with no opponent listed. (And if just hearing “judicial elections” makes you wince, check out VotingforJudges.org, an informative, non-partisan website that provides information on every judicial race in Washington.) The adoption of Washington’s top-two primary also increases the importance of the primary election in some races. You won’t be seeing a “dead tree” voter’s guide in your mailbox until the general election, but the Secretary of State has compiled all the information you need online, and even a video version as well. So before you book your tickets or head out into the sun, take a moment to confirm that your voter registration is current, or register for the first time!